A team of scientists working at the U.S. Department of Energy's (DOE) Argonne National Laboratory and led by Northern Illinois University physicist and Argonne materials scientist Zhili Xiao has created a new material, called "rewritable magnetic charge ice," that permits an unprecedented degree of control over local magnetic fields and could pave the way for new computing technologies. The scientists' research report on development of magnetic charge ice is published in the May 20, 2016 issue of the journal Science. 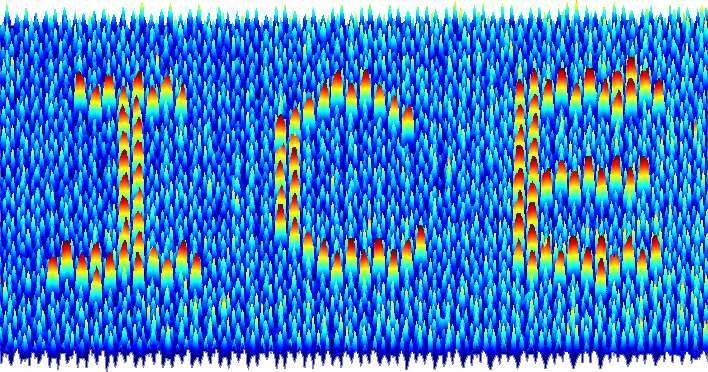 With potential applications involving data storage, memory and logic devices, magnetic charge ice could someday lead to smaller and more powerful computers or even play a role in quantum computing, Xiao said. Over the past decade, scientists have been highly interested in creating, investigating and attempting to manipulate the unusual properties of "artificial spin ices," so-called because the spins have a lattice structure that follows the proton positioning ordering found in water ice. 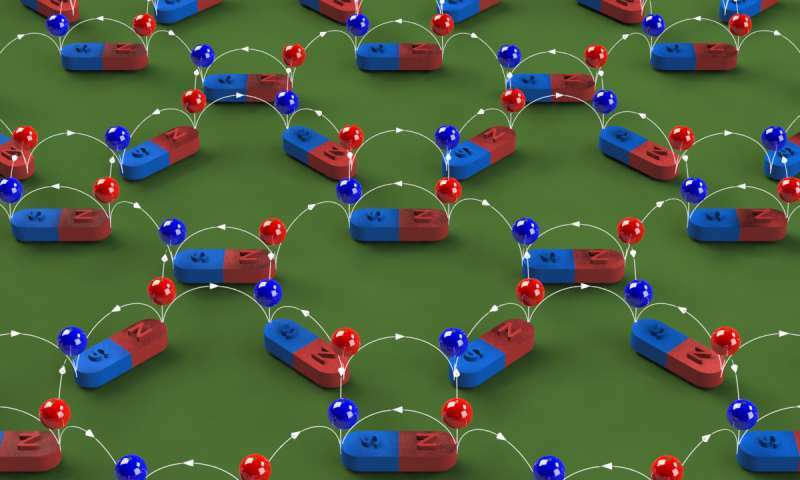 To overcome this challenge, Xiao and his colleagues decoupled the lattice structure of magnetic spins and the magnetic charges. The scientists used a bi-axis vector magnet to precisely and conveniently tune the magnetic charge ice to any of eight possible charge configurations. They then used a magnetic force microscope to demonstrate the material's local write-read-erase multi-functionality at room temperature. For example, using a specially developed patterning technique, they wrote the word, "ICE," on the material in a physical space 10 times smaller than the diameter of a human hair. Yong-Lei Wang, a former postdoctoral research associate of Xiao's, is first author and co-corresponding author on the Science article. He designed the new artificial magnetic ice structure and built custom instrumentation for the research. 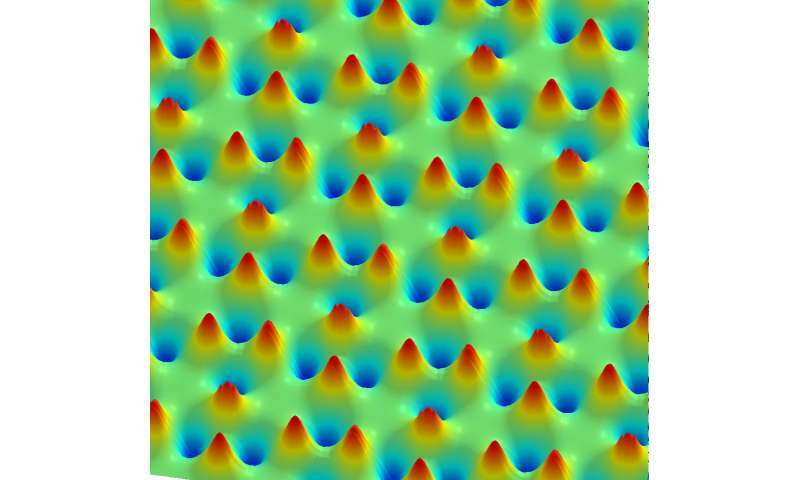 "Although spin and magnetic charges are always correlated, they can be ordered in different ways," said Wang, who now holds a joint appointment with Argonne and Notre Dame. "This work provides a new way of thinking in solving problems. Instead of focusing on spins, we tackled the magnetic charges that allow more controllability."